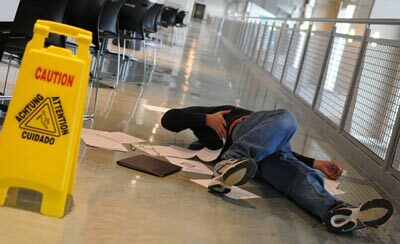 Slip and fall accidents are often reported in their thousands on yearly basis. They are mostly caused by negligent property owners who have refused to look into the safety conditions of their property. Owners of such properties where these accidents happen can be sued for their negligence and made to pay settlements to the injured individuals. If you are a victim of ‘slip and fall’ accident in Temecula, CA and want to pursue the legal procedures, let Rawa Law Group assist you. Rawa Law Group is not just any firm but a stellar law firm that has some of the most experienced personal injury attorney in California. We have gathered a combined legal experience of more than 55 years in this field. Our experienced attorneys have helped clients gain due settlement that has run into several hundreds of millions. Our service is easily accessible. You can consult us for free – zero upfront costs. Besides that, you will be given some ethical legal counsel for free. The only payment you make is until after we have won your case. We give you all the needed attention especially a one-on-one attention from any of our qualified slip and fall accident attorneys in Temecula. If your schedule is too tight, we can offer you flexible appointment hours. Some of our attorneys are available to make a home or hospital visits when necessary. Rawa Law Group ensures you are aware of every progress made on your case from the beginning to the end. Hire an experienced ‘slip and fall’ accident attorney Temecula, CA via our address as seen below.